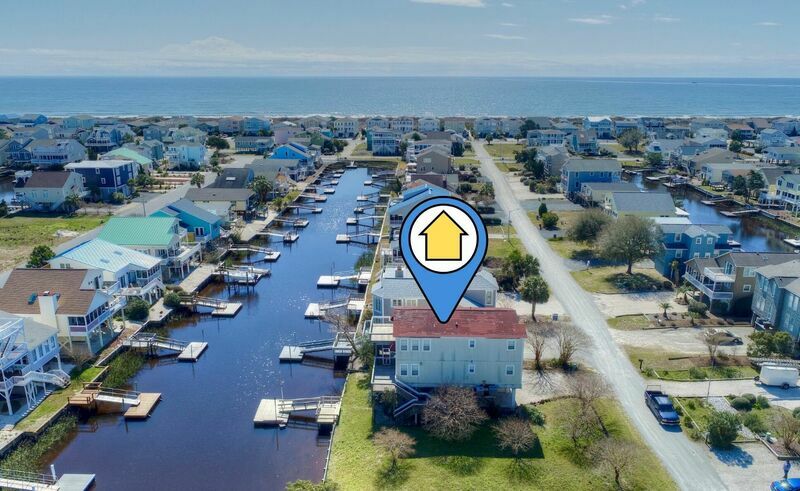 Seaside Beckons is perfect for no-fuss guests who want to be on the canal with a private boat deck. The house has 4 bedrooms and 4 baths, a fully equipped kitchen, and a highchair, 2 Color Cable TVs and DVD. The loft offers a large sitting area. Upstairs bedrooms have a king and queen bed; downstairs bedrooms have a queen and two doubles - there is also a port-a-crib. Enjoy outdoor living on the furnished screened porch and the sundeck. There is a storage closet for guests, a fish tank for your catch-of-the day, and an enclosed outside shower. Beach Access is via 11th St. Please - no pets and no smoking.